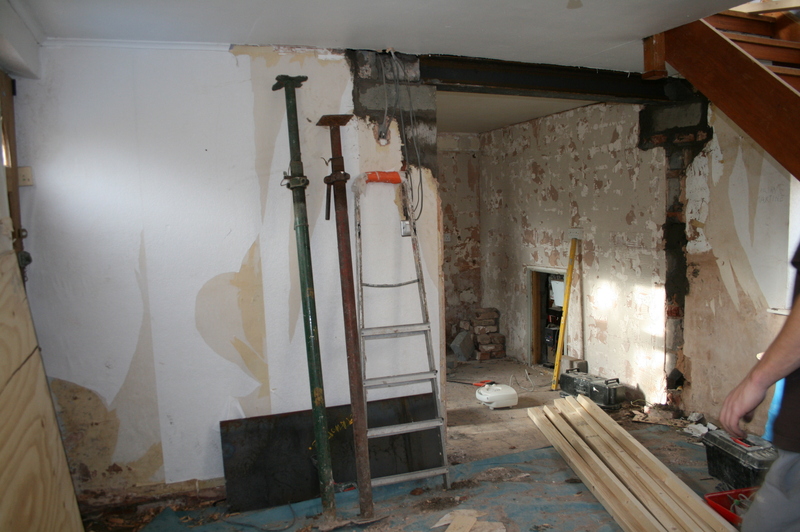 This is, for me, by far and away the most exciting time of any development – the ripping out of all the hideous ‘before’ stuff and opening up the house or apartment or building back to bare brick. Once thats done, you really get a feel for a space, and therefore also the potential of a space. Even perfectly proportioned and measured drawings can’t give you the feeling you get when you are actually on site and walking round a place, it’s only then you truly sense how it should and will be lived in. 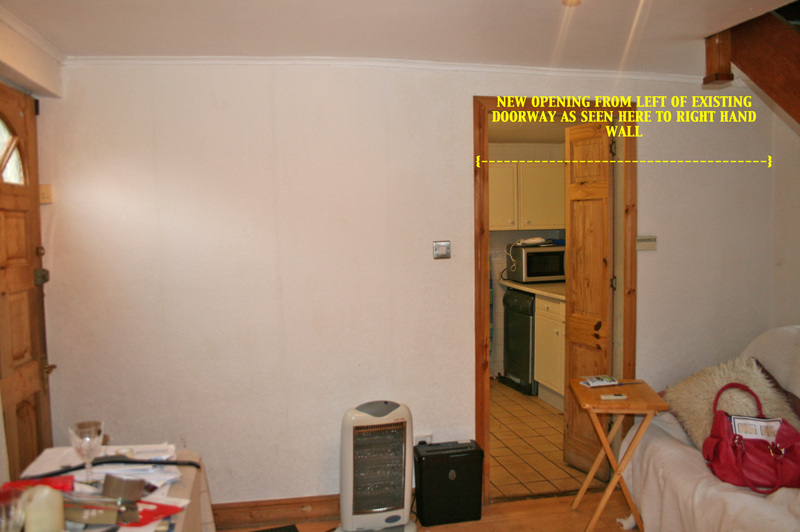 Rose Cottage is only tiny, so the wall in between the living room and kitchen cut the ground floor very much in two, and the areas didn’t feel connected at all. The initial idea was to take the whole wall you see above out, to have one big open space, but a combination of factors changed our mind. One was the specification of a long freestanding sink unit which will sit on the opposite side of the blank white wall on the left, in the kitchen – meaning the sink would have been in the middle of the room. Not perfect design wise. Another was that the client liked some element of open plan through to the kitchen, but didn’t want to see the ‘messy bits’ from the living room. Another was that the listed building department preferred the idea of an extended opening rather than a full knock through, although they hadn’t said a definite ‘no’. From this vantage point, where the sofa will eventually be, the client will see / have a dining area under the stairs, a vintage dresser on the wall moreorless where the yellow spirit level is and the fridge will be on the far wall in the corner. TV wall mounted on the white wall with partially stripped paper.